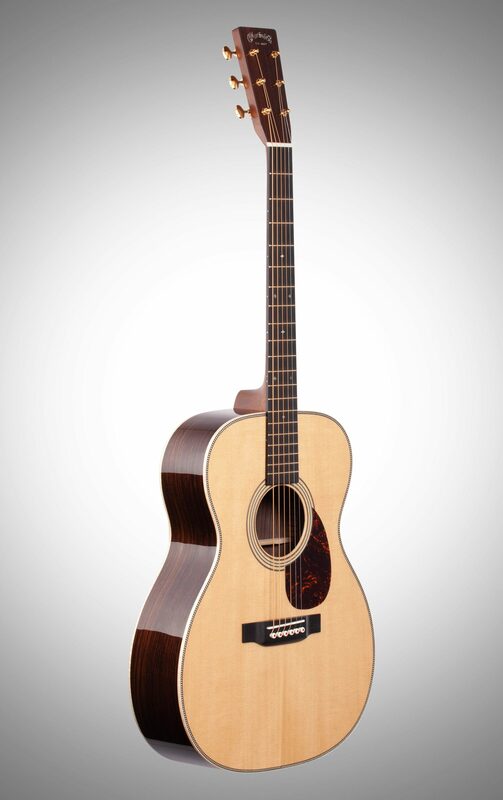 The Modern Deluxe Series is offered in four styles: D-18, D-28, 000-28, and OM-28. Each model is packed with custom features and modern technology that you have to see, feel, and hear for yourself. "Our goal has always been to make the best guitars and strings possible," said Chris Martin, Chairman and CEO. "We are thrilled with the positive feedback we are getting on these instruments, and we hope you'll give them a try for yourself." The sound isn't the only thing that will turn heads with the Modern Deluxe in your hands. 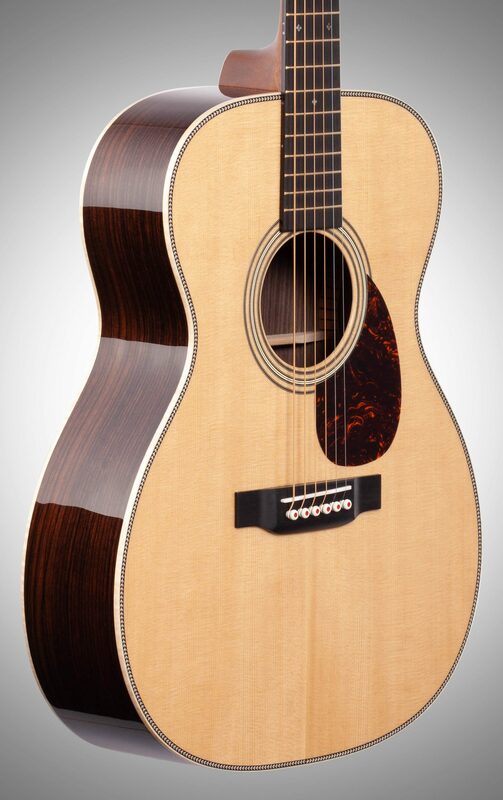 The 28-style guitars feature East Indian rosewood back and sides with a contrasting flamed maple binding, while the 18-style features genuine mahogany back and sides with contrasting East Indian rosewood binding. 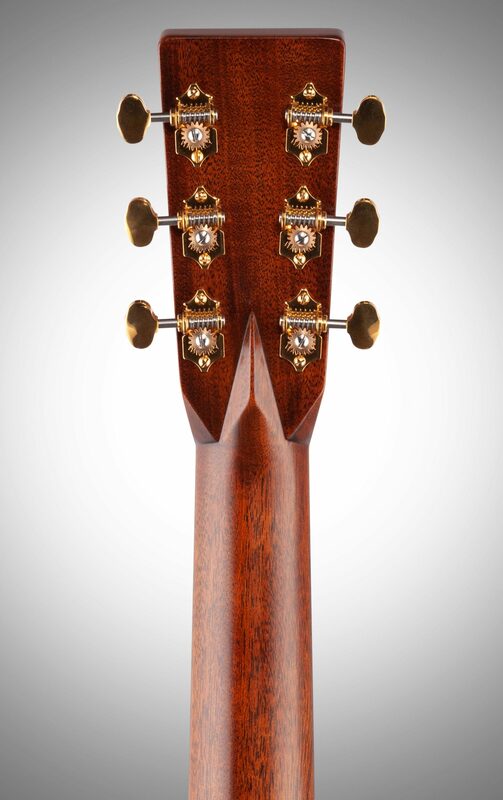 All four models feature stylish gold frets, gold open-gear tuners, and a gorgeous, pearl inlaid, 1930s style script logo on the headstock. 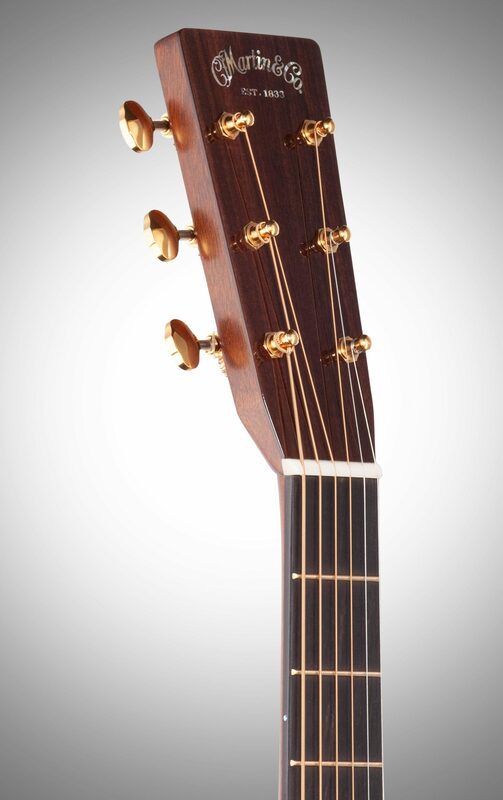 One of the ultra-modern features that is innovative to this series is a two-way titanium truss rod, which makes the neck super easy to adjust, and it is 64% lighter than a traditional truss rod. The models also feature Liquidmetal(R) red dot bridge pins and a carbon fiber bridge plate that increase the volume by several decibels without adding weight. 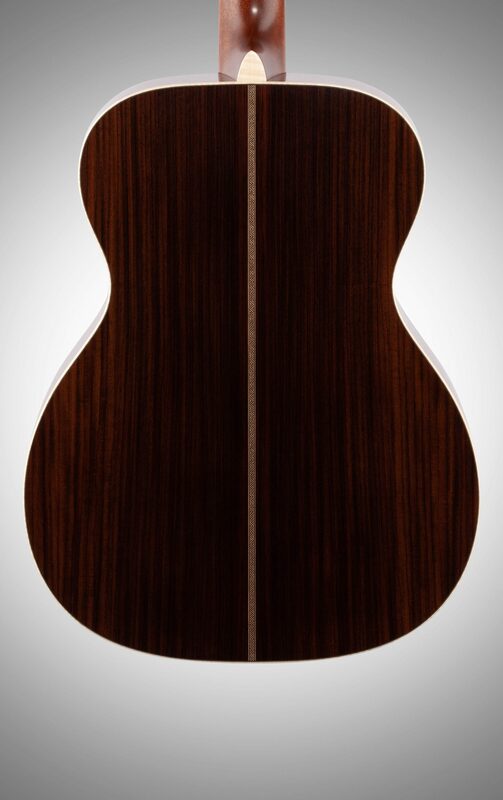 One of the most exciting features is a neck shape that was designed just for the Modern Deluxe Series. 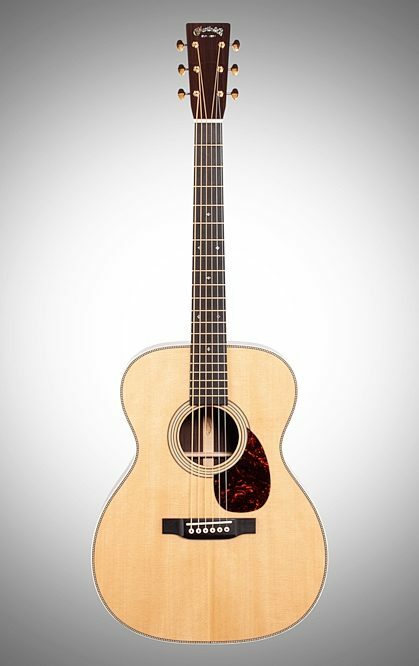 The shape has an ultra-low profile, and it is slightly asymmetrical for maximum hand comfort up and down the fretboard. 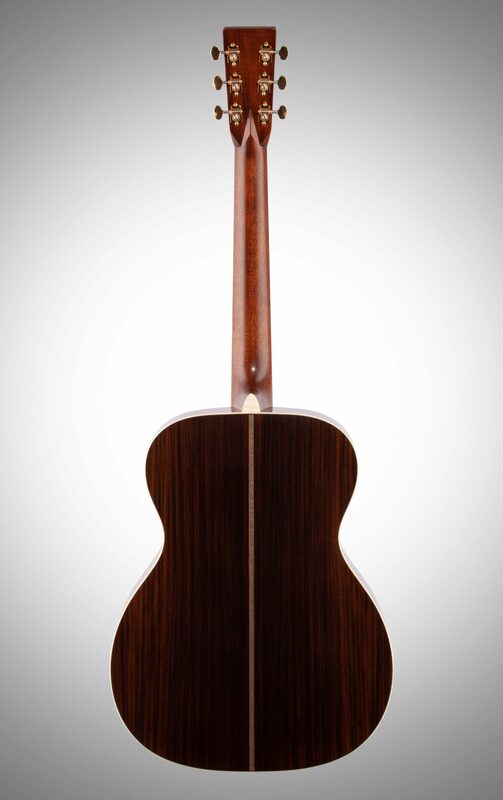 With all of these features combined in one series, Modern Deluxe stands apart from everything in Martin's production line to date. 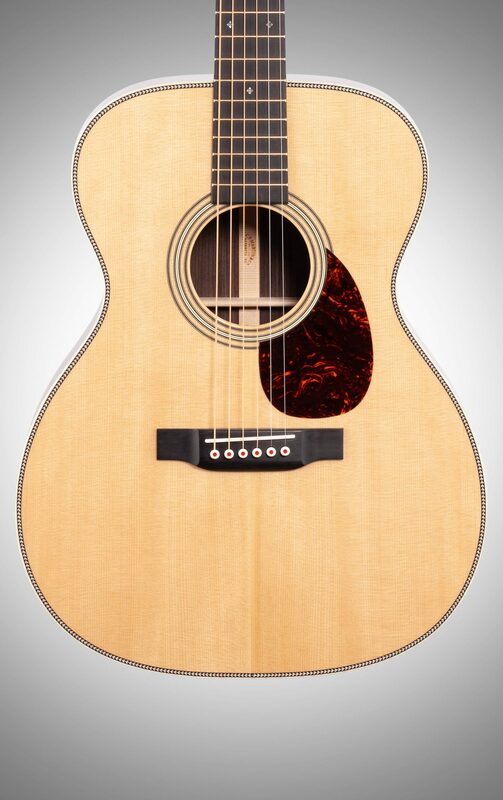 These guitars are anything but standard. close [x]More ExpectedWe have been given a date of Jul 8 for the arrival of this item. This date is not guaranteed, rather an estimate based on either information obtained directly from the manufacturer or historical delivery data for the specific manufacturer.